Proactively involved in Educational and Research activities, Dr. Preetha P R heads Meditrina Fertility Centre, which is situated in the heart of Trivandrum city. Dr. Preetha P R completed her MBBS from Medical College, Trivandrum and post graduate training from Kasturba Medical College, Mangalore. After her post graduation, she was conferred Fellowship in Clinical Embryology from the prestigious institution, Christian Medical College, Vellore. After clearing DNB from The National Board of Examinations, she did her basic and advanced training in Endoscopy from Dr. Ramesh Hospital, Bangalore. She got certification for doing basic Ultrasonography from Senthil School of Sonography, Chennai. She was conferred the Fellowship in minimal access surgeries by AMASI. She has published numerous papers in national and international peer-reviewed journals and actively involved in health education of the public through health talks in visual media, articles in newspapers and magazines. She is the Founder Secretary of Adoor Ob Gyn Society and was selected as a member of Indian college of Obstetrics and Gynaecology in the year 2010. She is continuing her association with AOGS for uplifting women's health in rural areas through various camps and for adolescent health through frequent school visits. 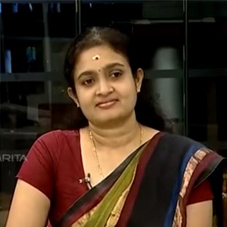 A popular author of various articles on women's health through various periodicals, Dr. Preetha is an advocate for quality and ethics in infertility treatment and encourages research and development in the respective domain. She is an active member of various gynaecology and fertility organisations like ESHRE, FOGSI, ICOG, ISAR, IFS etc. While working as an infertility specialist and gynaecologist in various hospitals in Kerala, she is strongly involved in various Corporate Social Responsibility (CSR) Initiatives and is part of social organisations like University Women's Association, Inner wheel (suburban) Trivandrum, Trivandrum Women's Club etc., to name a few. She is a keen music lover and dance is one of her favourite passions.